/cm/ - Cute/Male » Searching for posts with the image hash ‘PePRyVlIqRiFg2Q9O8pZyw==’. Searching for posts with the image hash ‘PePRyVlIqRiFg2Q9O8pZyw==’. 1 results found. Forgot to answer my own question, fug. 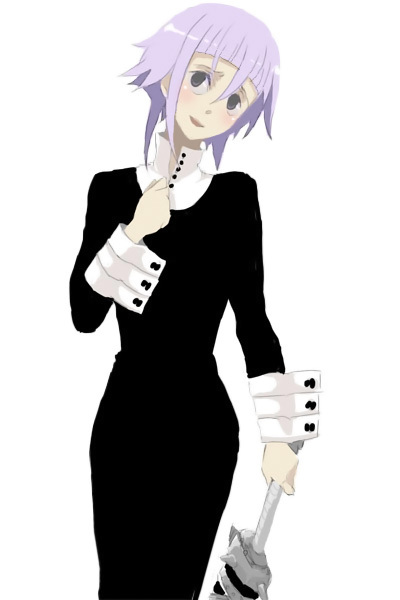 Crona keeps things simple in that regard, his canon wardrobe is pretty bare-bones. Even given more freedom with what he wears he'd probably keep it that way anyhow. I can see him having just enough to cover his bases - a few mix and match casual outfits, some pajama sets that double as around the house wear, maybe an extra formal getup alongside the one he already has/had, etc. I certainly hope so, I'd be sure to remind him of it. Being able to just vent to someone sympathetic is really a nice thing sometimes. >and doesn't want to feel like a burden or anything. Incidentally, I've always felt I'd be the burden when it comes to the thought of sharing my concerns and complaints with him. Obviously pretty much anything I'd have to gripe about pales in comparison to what he's been through, so it feels a little unfair to dump it on him knowing that. But I suppose mutual support's the whole point of a relationship, even if it might be a tad lopsided in this instance. Yes and no; I think he'd like a pet but at the same time would be a little afraid of having one in his care given his negative prior experiences with small animals. It's something we could work through with time, I suppose. I'd love a scale/prize fig or a plushie like I said earlier, a Nendo would be cute too. Hell I'd even settle for a Funko, heretical as that may be to say. Soul and Maka have one each and they look alright, seems it'd be the only shot of getting anything tangible now since the series has been over for so long. Doubt he'd know the significance of it unless it was explained to him, he'd probably briefly wonder what it is before continuing about his day. If I was with him I'd be more than happy to tell him what's up, and follow up with a kiss as an example of course.